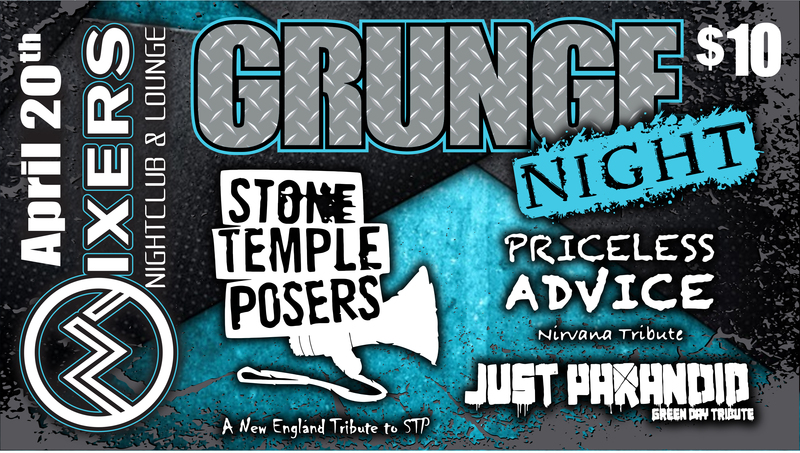 Stone Temple Posers are the Premier Stone Temple Pilots tribute band from New England . These guys are a fun band paying tribute to STP! Just Paranoid – Green Day Tribute Band is a classic three piece Green Day Tribute band touring New England. They will take you on a journey from the punk early days right on through to the critically acclaimed rock opera anthems – complete with blue hair, ties and man-liner. Cost of this show will be 10.00 ticket will go on sale soon.